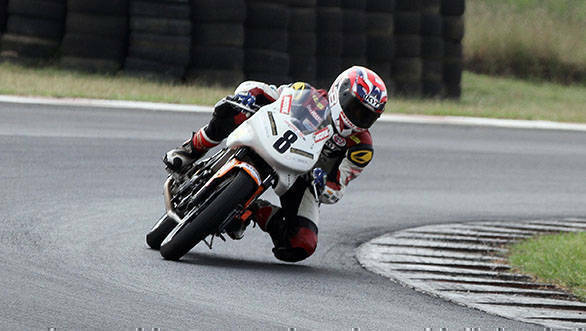 The 2016 season of the Indian National Motorcycle Racing Championship came to an end yesterday at the MMRT in Chennai. The final round was held over three days, and hosted five individual championships and three one-make championships. 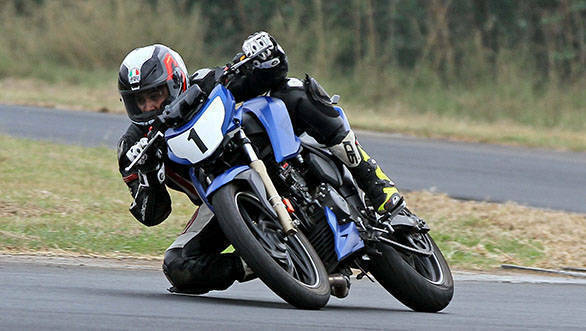 In the National Championship, Spaniard Ami Van Poederooijen from Puducherry, took the Super Sport 300-400cc class title, after winning both races this weekend. His team-mates from Rockstar Racing, Amarnath Menon K and Abhishek Vasudev, took second and third place respectively, in both races. 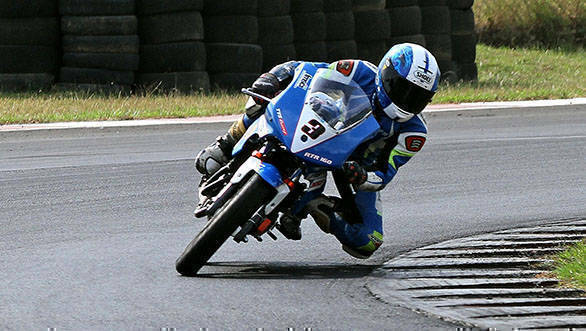 In the Super Sport 165cc class, TVS Racing's Jagan Kumar managed to take the title after winning both races this weekend. This makes it his fifth National title in a row. His team-mate, Harry Sylvester, finished almost two seconds behind him in the first race while Honda Ten10 Racing's Mathana Kumar took third. In Race 2, Jagan Kumar's team-mate, S Kannan Subramaniam took second while Sylvester took third. Rajiv Sethu of Honda Ten10 Racing sealed the title in the Pro Stock 165cc class, after a double win in this round. His team-mate, Mithun Kumar, finished second in both races. 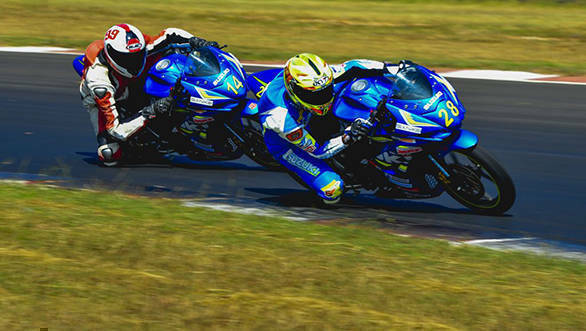 Team RACR's Prabhu Arunagiri finished third in Race 1, while his team-mate, D Dinesh Kumar took third in Race 2. The Stock 165cc class saw Performance Racing's Anthony Peter take the championship title after he won Race 1 and took second place in Race 2. Anish D Shetty of United Tech Torq took second in Race 1, while Yashas RS finished third. Yashas won Race 2, while Speed Up Racing' s Soorya PM finished third, two-tenths of a second behind Peter. Moving on to the one-make championships, Meka Vidhuraj won the Suzuki Gixxer Cup's Open class after finishing third in Race 1 behind Aaron Gunawardena and R Rajinikanth. Gunawardena and Rajinikanth managed to take a 1-2 finish in the second race as well. In the Novice category, it was Joseph Mathew who won the title with a double-win in this round. Vishal S took second in Race 1 as Alexander AS took third. In Race 2, it was Amarnath Rajan in second while Alexander finished third again. In the Honda one-make championship, Mathana Kumar clinched the Open class title after taking second-place behind Hari Krishnan R in Races 1 and 2. Ananth Raj P meanwhile, took third in both races. In the Novice class, Anish Shetty took the title after finishing second in Race 3. Piyush Ranjan won all three races, while Soorya PM finished second in Race 1 and third in Races 2 and 3. 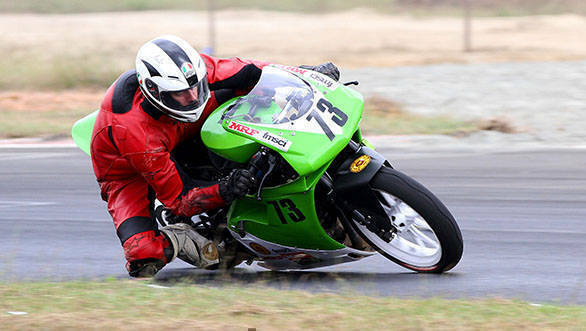 Kannan Karnan won the Open class title in the TVS one-make series. He won Race 1 ahead of Arun Muthukrishnan and finished second in Race 2 behind him. Yashas RL won all three races this weekend in the Novice category, giving him the overall win.